Tooth decay in children, also known as early childhood caries, is one of the most common chronic childhood diseases in Việt Nam. In some cases, severe tooth decay can result in tooth loss. A child who suffers from caries may develop serious infections of the gums, sinuses; and it may even spread to the neck. Caries can be painful and may cause your child to refuse eating. Unfortunately, many dentists in Việt Nam don’t have experience in treating little kids and they often tell parents that the child doesn’t need treatment until his permanent teeth erupt. This is a mistake. Caries should be treated even if the child is young and still has his or her "Milk Teeth," since the infection can spread and affect the permanent teeth that haven’t erupted yet. “Milk” or “baby” teeth are important for many reasons. Not only do they help children speak clearly and chew naturally, they also aid in forming a path that permanent teeth can follow when they are ready to emerge. In fact, healthy baby teeth are just as essential to infants and young kids as healthy permanent teeth are to older kids and adults. The first primary tooth often erupts between 6 and 9 months of age, and by 3 years, a healthy child should have 20 primary teeth. If the child does not develop his or her first tooth by 9 months, parents should see his/her pediatrician. Healthy primary teeth are white without spots or stains, and healthy gums are smooth and pink. From birth to 12 months, parents should gently wipe their baby’s gums with a clean baby washcloth or gauze. When the first tooth appears, clean the surface using a baby toothbrush and water. According to the American Academy of Pediatrics, the best time to clean your baby’s teeth is after breakfast and before bedtime. For children from 12 months of age, parents can start using a small tooth brush and toothpaste twice a day. In little children below 3 years old, the amount of toothpaste recommended is the size of a rice grain. Children over 3 need toothpaste the size of a small pea. Start flossing when two of the child’s teeth touch each other. When you first introduce a tooth brush to your child, make it look like a toy. Let your baby play with it. Babies at this age usually put every object in their mouth and if they see the object as a toy they will accept it. Let your baby watch how you brush your teeth and how much fun it is, it will encourage him/her to do the same. Dental hygiene does not have to be a chore. Instead, it can be a fun bonding activity for you and your child. Don’t put your child down for a nap with a bottle of formula, or milk. Sugary liquids cling to his teeth, feeding bacteria that can cause tooth decay. If you must give your child a bottle to take to bed, make sure it contains only water. There are lots of good reasons why children need pacifiers, but in the long term, it can affect how their teeth line up. It can also change the shape of the mouth. Talk to pediatricians if your child is still using a pacifier past age 3. Is fluoride safe for young kids? Fluoride is a special mineral which is important for building a strong enamel layer that protects our teeth. In many countries, fluoride has been added to drinking water and it has proven to reduce caries (teeth infection). If you search online, you will see there is a lot of controversy about use of fluoride and it can be quite confusing. The simple truth is, like anything else in life – too much fluoride is not good but no fluoride is also bad. 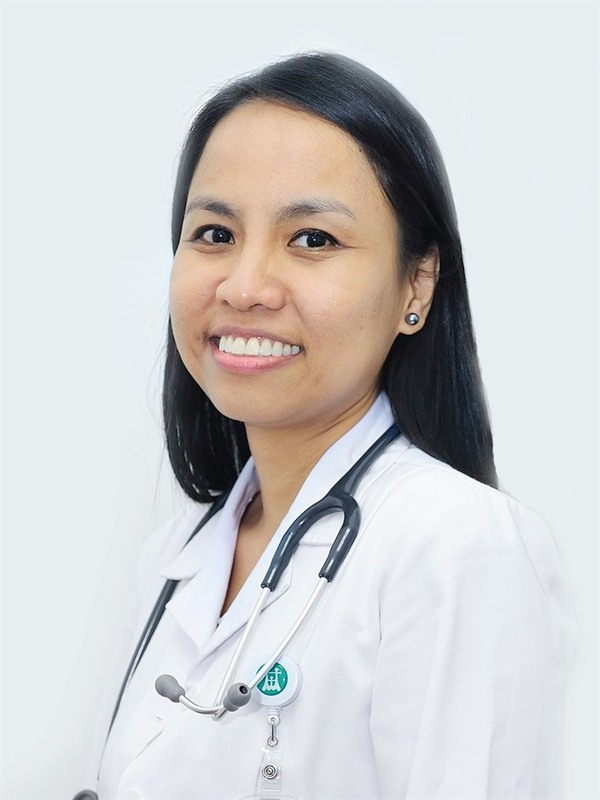 * Dr. Cynthia Dacanay is a pediatrician with Family Medical Practice Hanoi - a branch of Family Medical Practice Vietnam. For more advice on any medical topic, visit Family Medical Practice Hanoi on 298 I Kim Ma, Ba Dinh. Tel: (04) 3843 0748. E: hanoi@vietnammedicalpractice.com.